If you’re not already familiar with the name, then you would probably not be in the market for one anyway. Vertu is an exclusive line of luxury phones, hand-made deep in the English countryside. A team of experts works in a perfectly sterile and dust-free environment so as to ensure top quality of assembly. The workshop is in a high-security, top-secret location – a guarantee that these phones are one-of-a-kind. As many of us spend half of our working days on the phone, we might as well have a top-of-the-line handset to get the job done right. Just as the Ferrari is the luxury automobile that will get you to your destination in style, Vertu is the mobile phone equivalent. And they even have their own Ferrari line, if the Vertu name isn’t enough for you. A Vertu phone is truly for the person who has everything, as they run an average of 4,000-7,000 Euro a piece. 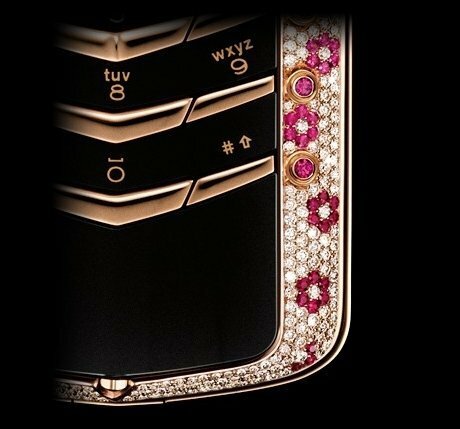 If that’s chump change to you, then go for a Signature Diamond line phone for 77,000 Euro. how big is price difference between Moscow and Riga's prices for Vertu Constellation?